1. 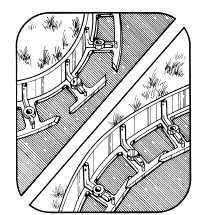 Mark the area where you want to install your Sta- Right� Landscape Edging. 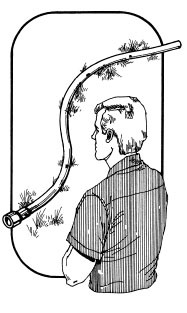 Use a string line for straight sections or a garden hose to make gentle curves. 2. 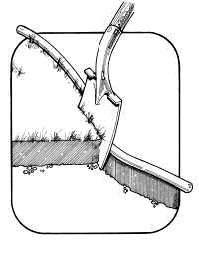 Using a shovel or spade, cleanly cut the edge of your beds. Remove any excess grass and soil. Dig down about 11/2" and create a level shelf so Sta-Right is slightly above grade after installation. 3. Cut the back support on sections where you will have curves. Use heavy duty shears or a hacksaw to cut Sta-Right. Helpful hint: If you hold the edging with the side wall facing down and cut the back support on an angle, Sta-Right will bend easily to make inside and outside curves. 4. Once Sta-Right has been cut, flex the piece to make inside or outside curves. 5. Connect sections of Sta-Right using the patented vertical connection ystem. Slide the tongue on one section down on the groove on another to engage the two pieces. 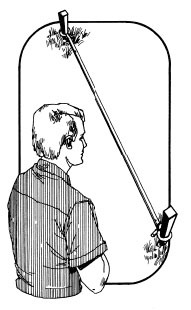 Use a steel spike at the intersection when installing to secure the connection. 6. If landscape fabric is being used, place it in your bed before securing Sta-Right. 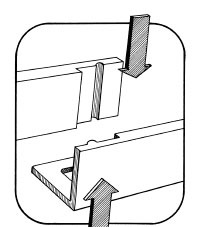 Place Sta-Right along the cut edge of your bed and secure it with the steel spikes included in the package. Place each spike about 16" apart. 7. 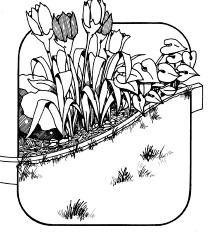 Use mulch or decorative landscape stone to cover your garden beds and the Sta- Right Landscape Edging. Sharp Inside Corner: For a sharp inside corner remove one or two nail hole bosses and bend to desired shape. 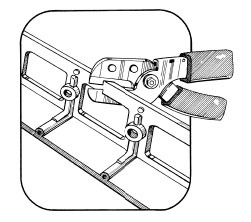 Sharp Outside Corner: For a sharp outside corner 'snip' support and bend. Gentle Outside Curve: 'Snip' supports and bend. Gentle Inside Curve: 'Snip' and bend. 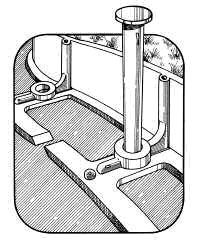 Overlap supports. Pieces Snap Together: Fasten Snap Edge lengths together by inserting tongue on one piece into slot of adjoining piece. If you have any questions or comments on the installation or performance of Dreamscape Edging, Please call us toll free at 1-866-437-3919.